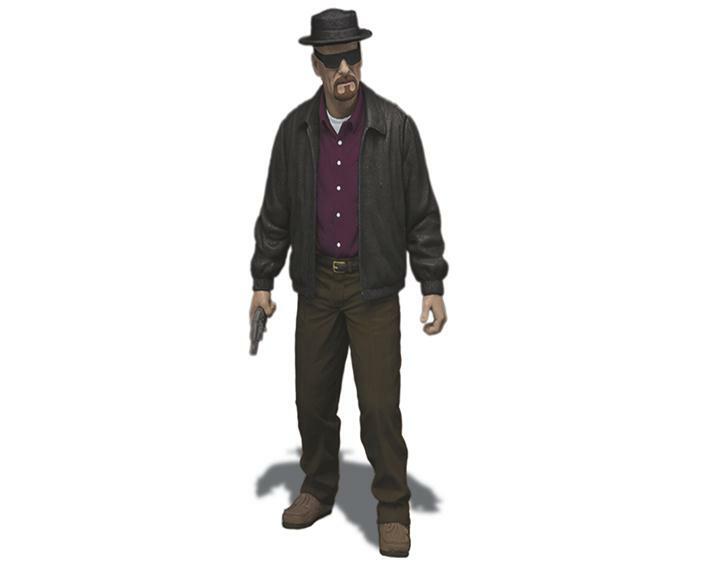 Breaking Bad Heisenberg Action Figure Mezco Toyz would like to introduce Walter White: chemistry genius turned science teacher turned kingpin; the central character of Sony Picture Television’s critically acclaimed, award-winning, hit series Breaking Bad, is now immortalized as a collectible action figure. 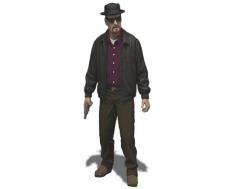 This unforgettable figure features Walter as his alter ego of Heisenberg. He comes complete with removable hat, removable glasses, a sack of cash, and a bag of blue crystals. Relive the tense, edge of your seat excitement as Mezco’s Breaking Bad action figure stares at you from inside his collector friendly clamshell package, he dares you to make your move. Figure stands approx 6 inches tall. All Hail The King!